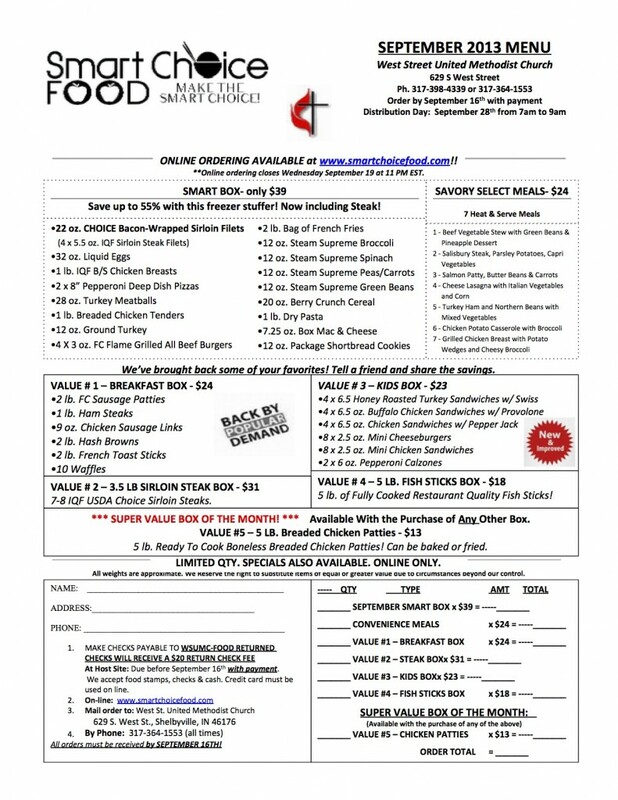 ONLINE ORDERING AVAILABLE at www.smartchoicefood.com!! **Online ordering closes WednesdaySeptember 16th at 11 PM EST. IQF – Individually Quick Frozen – products are “flash frozen” separately so that they don’t stick together in the package, making it easier to remove only the quantity need for a meal.